If you haven't learned by now, we talk about the race + results. If you don't want to know, don't click in these threads!!!!!!!!!!! MARQUEZ!!!! Despite the off this weekend, he wins again. Wow what a start!!!! I'm slowly becoming a Bradl fan. That near off front end wobble ended his lead and confidence in the bike IMO. And.. it sounds like Suzuki is getting closer to running a GP. Definitely like to see that. Unfortunately for Bradl, it didn't take long for Marquez to go from tenth to first. He was even pulling away from Pedrosa at the end. 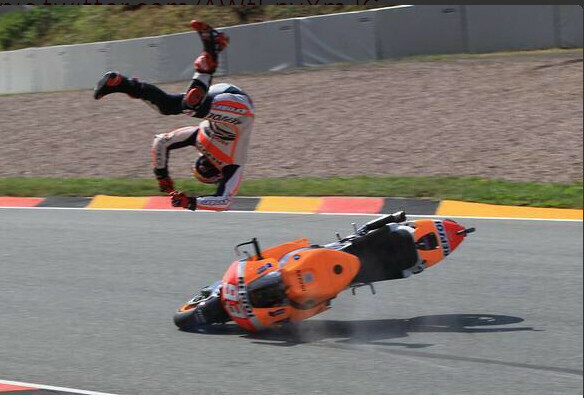 I think only Marquez can stop Marquez! Just more proof that aliens walk among us.